This particular entry will focus on the Japan Crate, as it’s the final box I’ve received, and allows for a good comparison point for those looking into one or the other. As I mentioned previously, Skoshbox is the less focused of the two services, offering “snacks” as a broad category, while Japan Crate specifically tries to focus on offering up candies of various sorts. This particular review looks at the Premium Crate, which is the largest of the lot, and includes two pounds of candy products, as well as a drink, so you can get the best possible sample of Japanese candy out there. Japan Crate, as a service, is the more well-developed of the services, in that it offers three plans catered to your personal interests; they offer the Mini-box for $12 a month, which comes with 4-6 full sized candies, the Original for $25 a month, which comes with about 8-12 candies, and the Premium for $30 a month, which comes with 10-14 candies and a drink of some sort. They’ve also recently stopped doing their surprise drawing concept, where you’d get however many candies from a random selection, and have since opted to go for simply offering a set list of candy per month, which means they’ll exhaust their potential options much slower at least. So, with that in mind, let’s tear into the Premium box and see how it stacks up to the Dekabox, and in general. 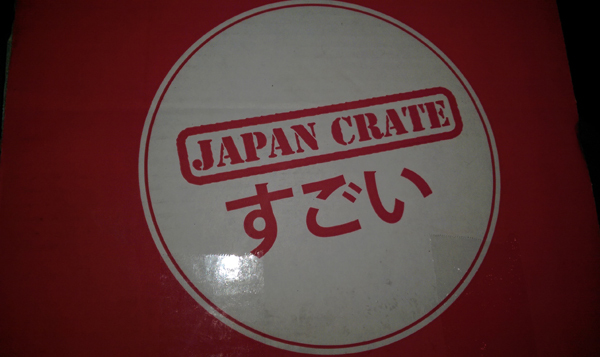 Here’s the box in all its glory; the outside is decorated with the Japan Crate logo, as you can see, and the box is a bright, dynamic red, so it’s quite unmistakable. The inside of the crate. It’s packed essentially identical to that of the Skoshbox packages; that is, the products are wrapped in tissue paper, and you’re given a list of the products so you know what’s what. 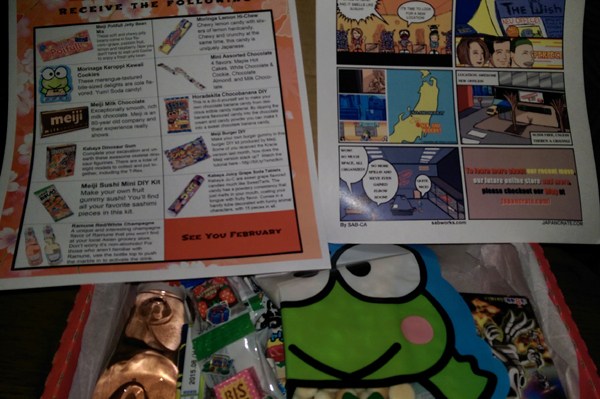 In an odd note, they also pack a little comic in the box, which in this case indicated that Japan Crate has moved to a new office (that doesn’t smell like “susuhi,” apparently) and will be opening an online store soon. The only significant point I can make here is that, given the drinks are often glass bottles, some sort of extra padding might be advisable for this package, but otherwise it’s perfectly fine as is, albeit with no listing of who’s packing what, sadly. Here’s our first big difference: the drink. Now, the drinks in Japan Crate have generally been… questionable, so far; while last month featured a peach juice drink that was awesome, the month before offered up Ginseng flavored Ramune, which unfortunately inspired me to perform what I dubbed “The Ramune Challenge,” where I drank literally every flavor of Ramune I could find. Most of them were terrible, with Chili Oil and Extra Spicy Curry being the worst, and I am in no way kidding about either of those. Anyway, the point is, this particular month saw a return to the “questionable” soda flavors with “Red Champagne,” flavored Ramune, which wasn’t great the first time I had it, so I’ve opted not to drink it again. Suffice it to say, it’s… not great. 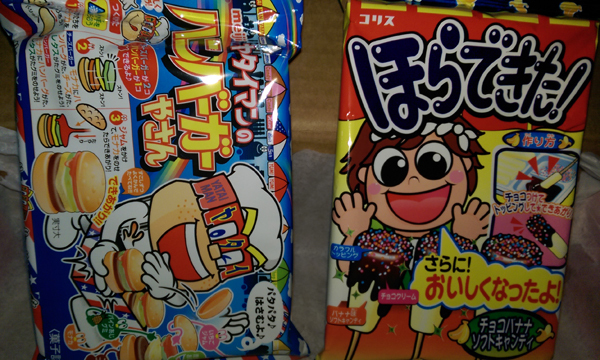 Our only snack food of the lot this time around is Morinaga Keroppi Kawaii Cookies. 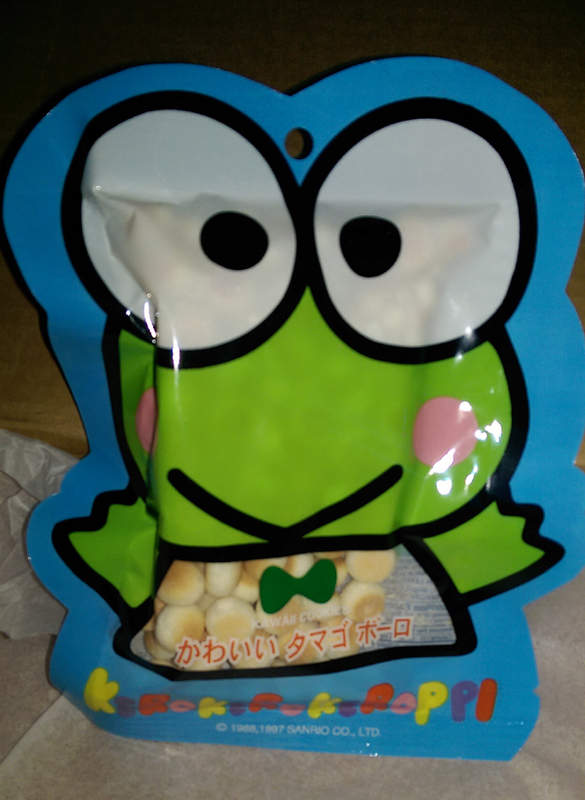 These are licensed snacks, as Keroppi is a part of the Sanrio family, and as you can see, he’s an adorable little frog guy who basically has the same cute qualities of other Sanrio products, like Hello Kitty and Baditz Maru. The cookies themselves are basically butter merengue cookies, though they have a different taste and texture from prior cookies we’ve discussed so they were pretty good. The write-up claims they’re cola flavored, but I don’t think that’s the case; they just taste like normal cookies, and they’re pretty good, all in all. I wouldn’t buy them on their own but they’re not a bad pack-in. These are “Mini Assorted Chocolate,” according to the write-up, though the package calls them “Chocolate Cracker,” so I don’t know what the hell (though, as an interesting aside, the package also notes that Asian Food Grocer is in some way affiliated with this, which explains a lot). 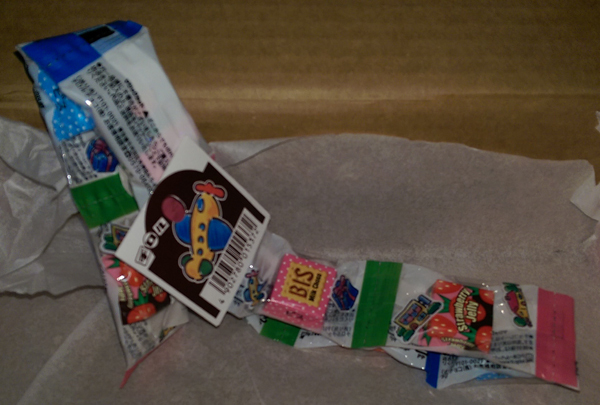 These are actually just a strip of candies that come in two flavors: normal chocolate, and strawberry jelly. Both are quite tasty, and while, again, I wouldn’t order them on their own, they’re pretty good and worth trying. Two different types of candies this time, both of which start getting into the “not likely to find in America” territory. The one on the left is identified as “Kabaya Juicy Grape Soda Tablets,” and as the name implies, they’re purple tablets that taste like grape soda. They’re really tasty, honestly, and I could actually see ordering them again, though they taste like a lot of Japanese grape candy, so you could really pick anything grape flavored and get the general sensation of the taste. The texture is interesting, as well, though the odd shape and style of the candy ended up being an issue when the last two got stuck in the tube, so… we’ll call it “fine,” but probably not something we need again. 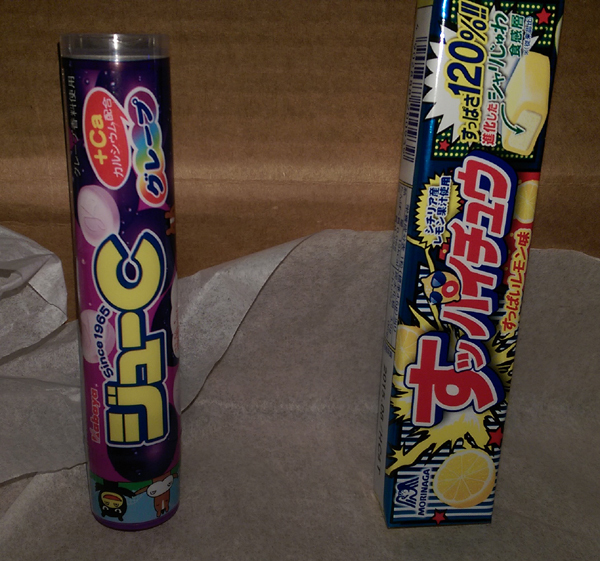 The candy on the right is called “Moringa Lemon Hi-Chew,” and this is a really interesting candy that Japan Crate has packed in before, albeit in grape flavor. This is essentially a candy that’s chewy on the outside with hard candy bits in the center, and in both cases that I’ve had it, I enjoyed it from both a taste and texture perspective. I’d definitely recommend this one, in whatever flavor you can get it, as it’s really neat and quite different from anything you can find in the US. Here’s where we come to the point where Japan Crate could be a make or break experience. 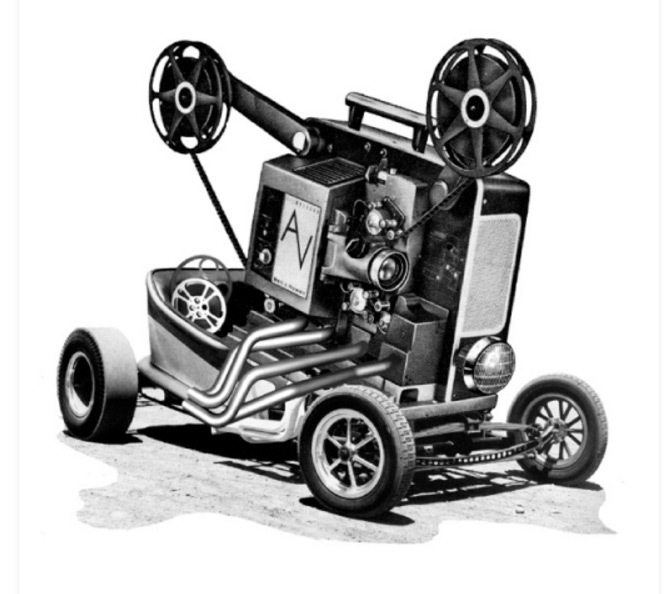 The one thing they love to pack in, primarily because Japan seems to love them, is DIY kits. These are literally what they sound like: candy that you put together yourself, to an extent, allowing you to “make” the candy as you see fit. The more involved ones can be quite annoying and often don’t taste good enough to justify bothering, but the less involved ones can be interesting, if you’re into the idea. This time around, we have a few, starting with the one on the left, “Meji Burger DIY,” which essentially sees you assembling jelly burger pieces into a cookie bun, then topping with a candy sauce. In theory this is a neat idea that requires little invested effort; in practice the jelly pieces have kind of a gross texture and don’t mesh well with the cookie bun, so it’s just an odd experience. The one on the right, on the other hand, is a case where the end result ended up being better than it seemed; chocolate covered bananas. Dubbed “Horadekita Chocobanana DIY,” in theory it seemed like a terrible idea, due entirely to the fact that I basically loathe banana candy, but in practice, the banana flavor is muted, and the chocolate “sauce” they provide is actually pretty decent, if decidedly not very chocolatey. Overall, though, both of these were fine as an experience, but neither was “good” in the strictest sense. This month’s crate was very focused on Meiji as a brand, as, aside from the Meiji Burger DIY, we also have these two pieces and another one coming up that all come from the manufacturer. The good news is that, while the burger kit wasn’t great, these pieces fare a bit better. The candy on the left is a “Meiji Milk Chocolate” bar, and it’s about what you’d expect: a Hershey Bar, but bigger and with a slightly different taste to it. Specifically, it tastes more like how you’d expect a chocolate bar to taste than most US chocolate bars, and it’s actually quite good, especially if you’re a chocolate lover. The item on the right is called “Meiji Sushi Mini DIY Kit,” and it’s basically a series of gummy sushi pieces that you can stack together to make gummy sushi sets. The idea is cute but the gummies are of the same consistency as the Meiji Burger DIY, so the end result isn’t great, and it lacks the sheer absurdity of the burger kit. It’s fine enough, but it’s not anything exciting. 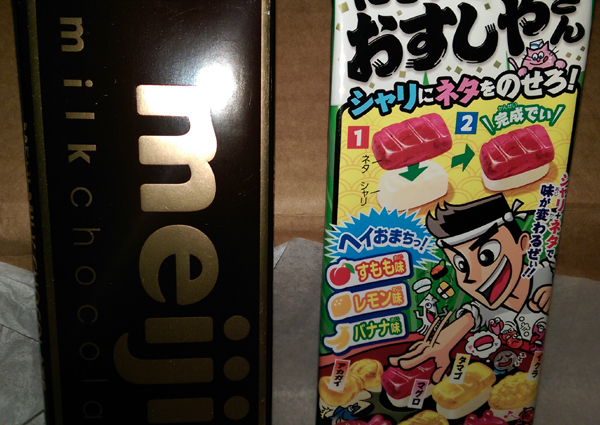 Our final Meiji piece in this month’s crate is on the left, “Meiji Potifull Jelly Bean Mix,” and despite the fact that I am generally not a jelly bean fan, these were amazing. The consistency of these beans is more solid and less gummy than you’d expect (especially given Meiji’s love of gummies so far), and the taste of the beans themselves is excellent. Each bean flavor is distinct and sharp, and the flavors aren’t the kind you’d normally expect from this sort of package, making this easy to enjoy. 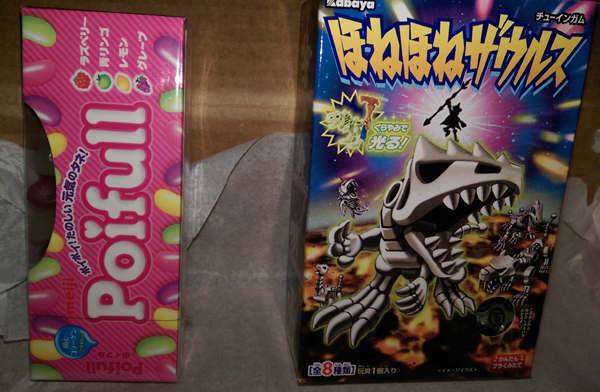 On the right, our final piece of the package is “Kabaya Dinosaur Gum,” which is a novelty product that comes with both gum and a toy dinosaur to build. That build-up kind of doesn’t match the pay-off of the experience, sadly; it’s basically just a fairly large square of gum and a snap-together dinosaur that’s fine but not much else. It’s supposedly part of a set that uses the weapons on the dinosaurs to assemble a bigger robot, which would probably be novel if you wanted to assemble it, but as a standalone it’s a cute novelty but that’s it. Japan Crate has also indicated that they’re aiming to get a store up and running sometime in the near future, though at present they don’t have anything of the sort available on their home page. You could theoretically check out the Asian Food Grocer website to order a good bit of what they’re providing, though, if you’re so inclined. For those who are wondering which is the better option between the Skoshbox or Japan Crate services, the short answer is “it depends on what you want.” Japan Crate caters far more heavily toward candies and DIY kits, and anyone who prefers sweets and a little Japanese novelty will find that to be a lot more fun and interesting for them. Skoshbox caters toward snacks in general and offers up a wider variety of foodstuffs, so if you’re interested in more than just candies and odd drinks, that might be a better choice for you. That said, they both have their flaws. Skoshbox tends to aim toward stuff that seems more American friendly but a little bit abnormal, at least in the two months I’ve been a member, and while that’s good for easing someone into the experience, it’d be nice to see something a little crazier since they’re catering to a wider variety of foodstuffs. Japan Crate, on the other hand, has done gross Ramune flavors twice in three months at this point, which, dude. DUDE. 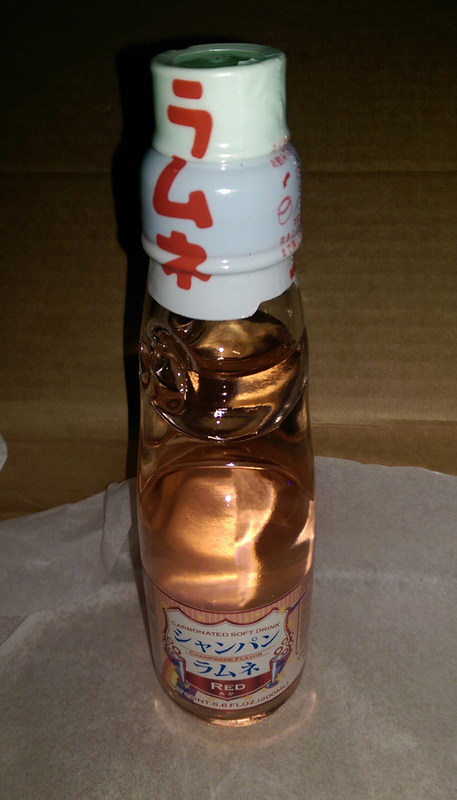 Either give me Chili Oil Ramune for the sheer absurdity of it all, or move on to Pokari Sweat or something. They also focus heavily on DIY kits, so if you’re not into that (and, as I am discovering rapidly, I most certainly am not), you’re going to end up throwing out a decent amount of the candy you get each month. In the end, Skoshbox offers a milder option that lets you try a little bit of everything, but might not be the super wacky stuff you were expecting, while Japan Crate offers up candy, crazy DIY kits and drinks, which you should be able to figure out if you’re into within one month of ordering it. 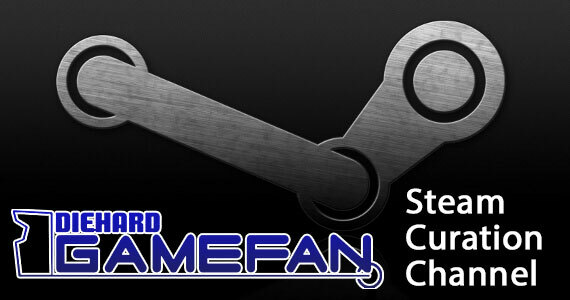 I like them both, honestly, and I’ll probably stay a subscriber for a long time to come, but it’s up to you which seems more your speed.